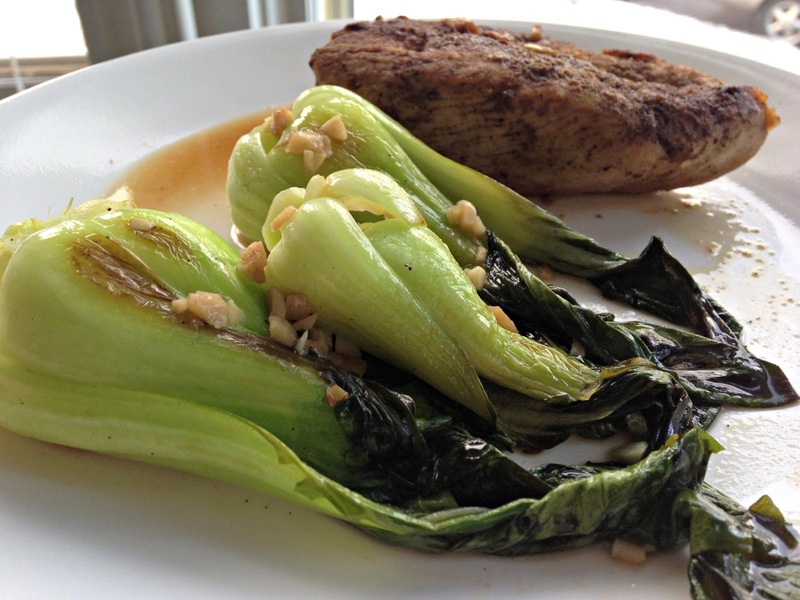 We can all agree that baby bok choy is much cuter than regular bok choy. Heat oil in a pan, medium-high heat. 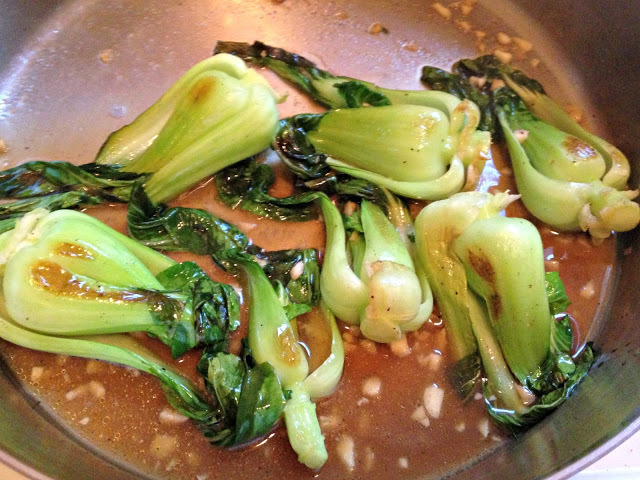 Sauté the garlic and the baby bok choy for about two minutes. Throw the coconut aminos, pepper and broth into the pan, cover and steam for 2 minutes. Stir and cook uncovered for another 2 minutes. EAT.